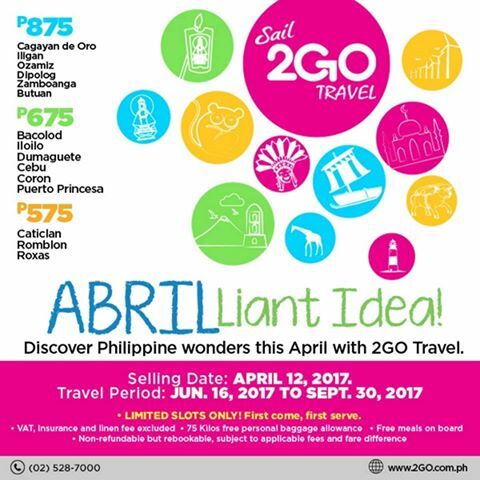 Call now at (02)528-7000 AND AT OUR WEBSITE http://travel.2go.com.ph/index.asp today. Beat the heat with tickets as low as P875/675/575. Available on April 12 only for June 16-September 30 travel dates. Sail away with 2Go Travel this year of 2017. Its so pleasant to hear that 2GO Travel is providing such affordable and economical offers to its customers.thanks for sharing it with us.keep posting good post.